Women need to stop apologizing when they want to take time off, the law professor and former U.S. attorney told Know Your Value in an extensive interview. 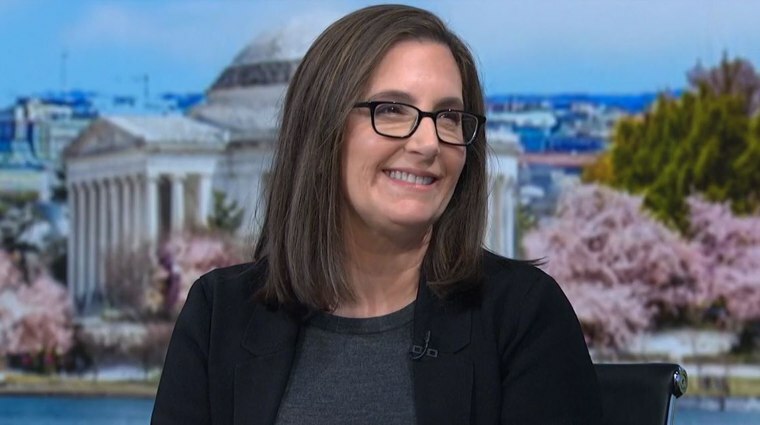 Joyce White Vance doesn’t look or sound like someone who’s experienced much doubt in her career. After all, she spent 25 years trying difficult cases as a federal prosecutor before becoming the first female U.S. attorney nominated by President Barack Obama from 2009 to 2017. But the path to get there wasn’t always easy. Vance recently spoke to Know Your Value about how she broke into a male-dominated industry, how she learned to advocate for herself, why women shouldn’t wait for a mentor to come to them and what your colleagues will remember about your maternity leave. That wasn’t fair, of course, and it still isn’t today for the women who relate to that “gotta work harder than the men” feeling. Luckily, she was in an office that valued hard work. "You can slowly develop your legitimacy. But definitely women had to work harder to get there than men did," said Vance, who is now a law professor at the University of Alabama. Whether it’s maternity leave, a week’s vacation or simply a few days off, asking for some time away from work can be nerve-wracking in an always-on culture. Vance recalled “feeling fairly powerless” as an employee asking for time off, but she came to realize that breaks are essential to continue doing good work. “Be fairly insistent about setting your boundaries so you can continue being a high performer," she said. One of Vance’s mentors, the federal judge in her office, recommended she take six months of maternity leave when she gave birth to her second baby. Vance initially protested, saying she couldn’t possibly take “that long” off from work. As it turned out, Vance was forced to take an even longer leave of eight months when the baby was born with a heart defect. Vance said she had no female federal prosecutor role models in her particular area, “so you did have to look at how the men conducted themselves” — but that really didn’t work for her. Instead, she turned to people like a woman in her office who had become a federal judge. Though their fields were a bit different, Vance said, they still had a lot to share about how to manage career and family, for example. Instead, she said, find someone “in your orbit … You can just spend time, have coffee, see if that relationship will develop organically.” Explicitly asking “will you be my mentor” isn’t a requirement – but it can be effective too, she added.